If you follow my Instagram (IG: @passionlocked) then you know what I have been up to for the past few months. And it finally time to share the happiness I received from this project. Every year I support the March of Dimes foundation by donating money, help raise money and participating in walk events. But this year I wanted to do something a little bit more special. 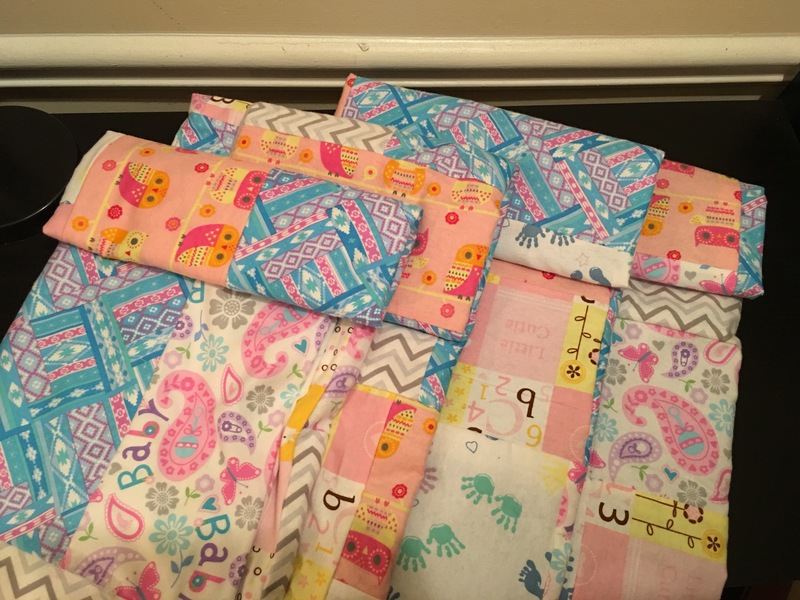 I decided I would make baby quilts to donate to a local NICU for families with preemie babies. Quilting has become my therapy. It is fun to do, it keeps my mind going, and keeps me out of trouble. You can see some of the quilts I have made on my Kreative Passions page and my IG account. Back around the holiday season, I bought a ton of baby fabrics from JoAnn’s Fabric store (they had really good sales). Since January, I have been working on these special little baby quilts. This passion project consists of 4 girl quilts, 4 boy quilts and 3 unisex quilts handmade special by me. 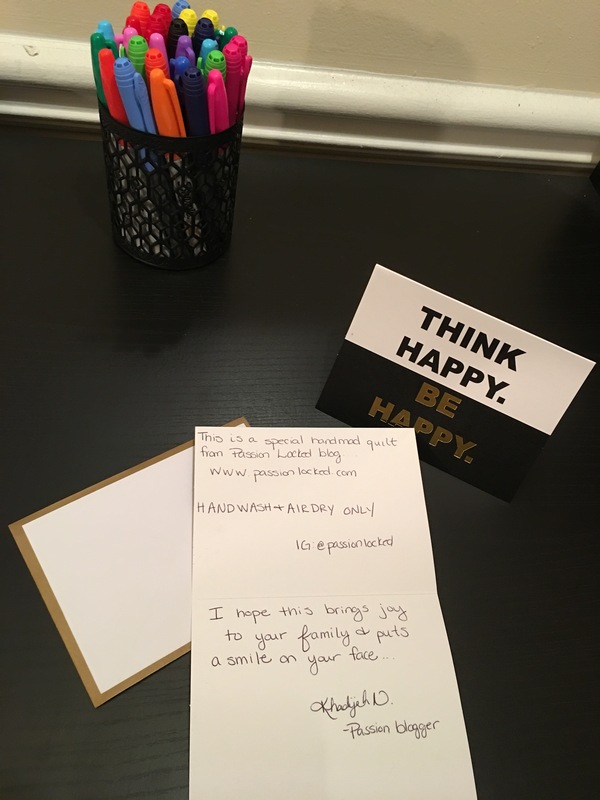 I bundled them with lots of love and my passion through a handwritten note card. 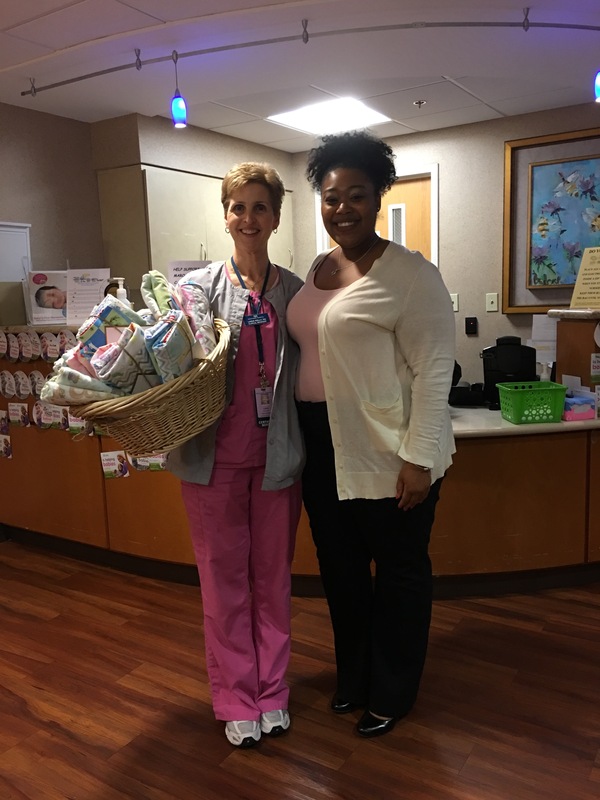 Today, the quilts were donated to the Special Care Nursery at Northside Hospital. I delivered them all bundled with love to the head nurse of the department, who promised to wrapped them around the bravest little beating hearts. Doing something so special for families during this trying stage of life makes my heart smile. Sometimes, I feel a way about being a 20-something year old who sits at home quilting on most Friday nights. But when I achieve something like this, I feel so proud to be who I am and have the passion that I have. I will be giving away one Baby Stroller Throw quilt. FOr details about this give-a-way, follow my IG: @passionlocked for details…. post coming soon.